Using our donation pickup directory, easily find free donation pick up services in your area! Getting our homes organized is a proven step in helping to straighten out our lives. When we finally clear out the clutter, the result is usually a bunch of extra unwanted stuff. Organizers for Charity connects the public with inspiring local charities who will gladly pick up your unwanted items at your convenience and use them to help those in need. We can also connect you with our community of professional organizers who are dedicated to using their skills to help get your homes organized – all with with the greater goal of making our communities a better place. Learn more about who we are, what we do and why we do it! Check out our Donation Pickup Directory! Find Charities who provide free pick up services in your community! Find Professional Organizers in your community who will help you get organized! New Year - Let's Get Organized! You may wonder how your old stuff can make this world a better place. Each charity that you donate to uses those household goods to make a difference in the lives of those in need. 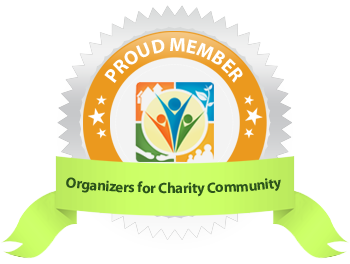 Organizers for Charity provides the opportunity to work with members of your community to connect with local charities. Connect with local professional organizers who are committed to helping you straighten up your life, all while making a positive impact on your community. Anytime you donate your unneeded household goods rather than just tossing them in the trash, you are contributing to the conservation of our planet’s natural resources. Each donation provides support to local charities and keeps used household items out of landfills.